Reached a milestone today...and hopefully soon to be over 10,000! I've completed the data mining scripts to adapt to the new website format and have now mapped out the new 900/900A Pulse bus route. Today I finished mapping out the Whitby routes and I've started on the Clarington routes. Finishing off Clarington shouldn’t take too long, then Pickering, then Ajax last (sorry Ajax). 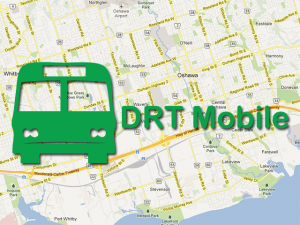 Check out the first and only Android mobile app for Durham Region Transit. It's free to use (there is also a paid version without ads) So help support the project and tell your friends.